With computers becoming more and more affordable, power per price ratio keeps increasing. One can lay down a couple hundred dollars to an ION or (Jetway) Atom system for their home entertainment or chose from other similar products in its class. But what happens when the 1.60 GHz Dual Core processor in the ION just does not provided the push you need to get things done but buying a full-fledged desktop is just too expensive? Jetway proved that there are still options to be considered. The JNC84-LF is a mini-ATX board which comes with an AM2+/AM3 socket so that the user get to decide just what kind of push they want out of their machine. Read on to find out which qualities this board brings to the table and whether or not it merits the right to be on your consideration list. 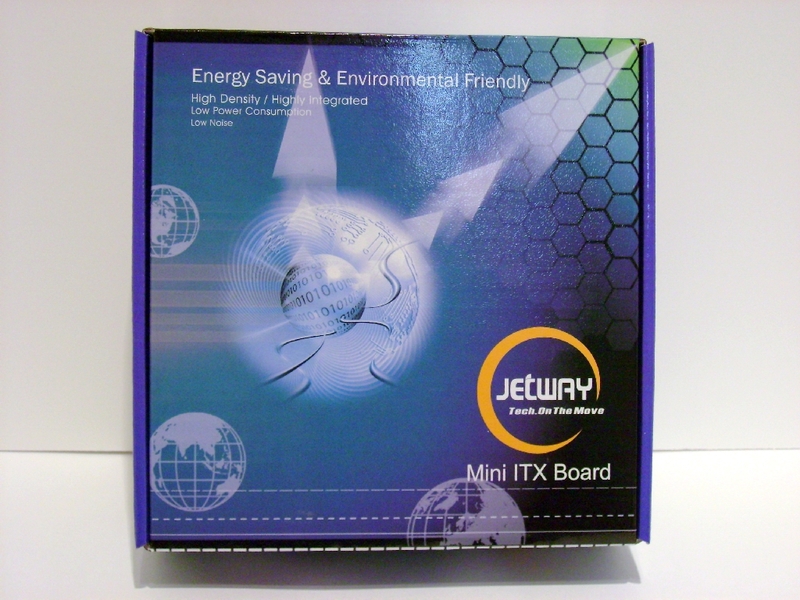 Much like Jetway’s ITX boards, the JNC84-LF comes in a box approximately 1 inch wider than the board. The extra inch is consumed by a plastic bubble/antistatic bag and foam. 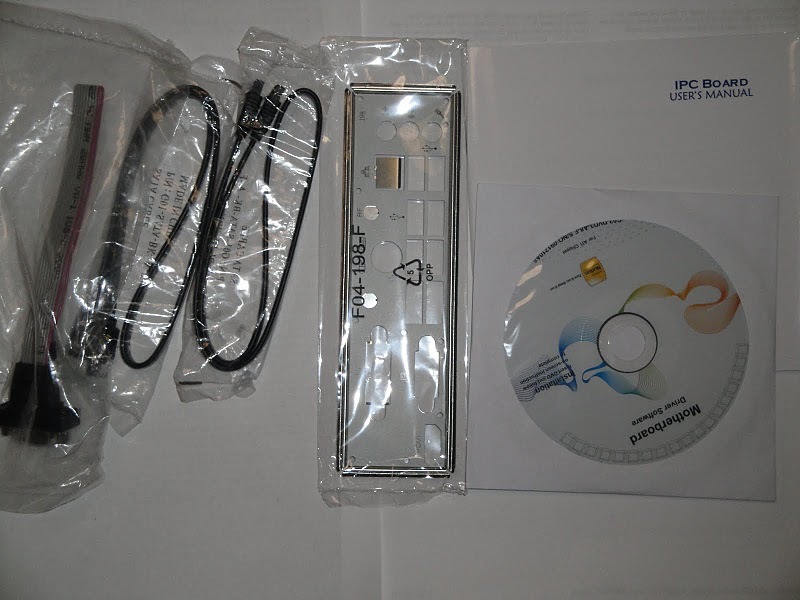 Along with the board you get 2 SATA Cables, a driver CD, a manual, and a back-plate. As can be noted by taking a quick glance at the pictures below, JNC84-LF’s design is significantly different from other IPC boards form Jetway. One of key differences aside is the socket. 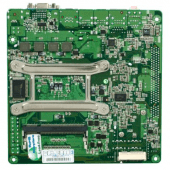 Unlike the previous boards we have reviewed, this board requires the user to buy a separate AM2+/AM3 CPU and cooler. Another key difference between this board and the previous boards are the RAM slots. 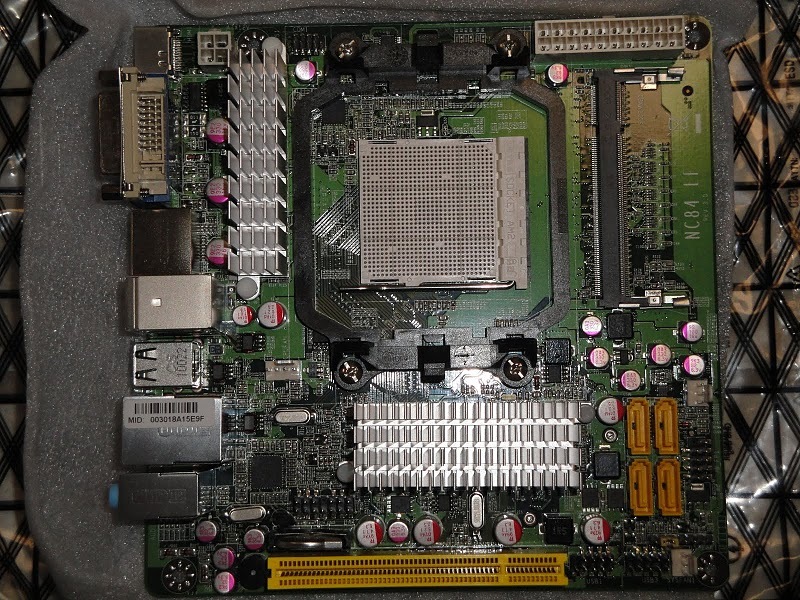 The boards we reviewed before were DD2 800 MHz desktop memory. The slots on this board are also DDR2 but use laptop memory running at 667 MHz instead. Further modifications to the board design include added USB pins on the motherboard, DVI, HDMI, and VGA outputs. Additionally, unlike the other boards which were powered directly by a 12 VDC jack, the JNC84-LF is powered by a standard 20 pin ATX plug; this should be taken into consideration when deciding on case sizes and features. Most m-ITX cases come with a ~300W power supply and are slightly bigger and heavier than those without.